I wanted to talk about this as first we are told red meat is bad, then good, then bad and the same for processed meat…. see where this is going!! I feel in moderation it’s ok ie once a week and not every single meal of every single day!!! With this in mind I decided to cook some sausages from my freezer. I defrosted them and dry fried them in a frying pan. They cooked quickly and had very little fat coming out. The Pork meat content was 80%. They tasted fantastic and I feel are a treat. Remember good quality sausages with high meat content eg 400g cost £3. The total amounts of fat,sugar and salt are quite interesting. Check the photos. My advice is everything in moderation!!! 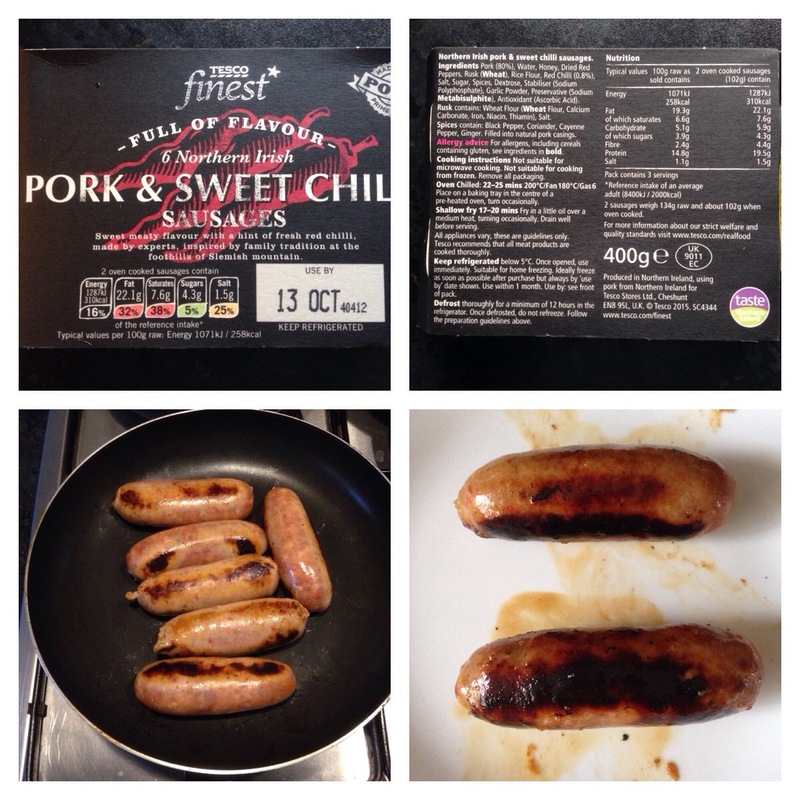 Great post – made me go to the fridge and check that we had remembered to stock up on sausages! nice mouth-watering pics. – unfortunately we can’t get sausages in NZ up to Irish standards. Des.